Dunnett Classic Drums were founded nearly 30 years ago by Ronn Dunnett. Ronn was the pioneer in hand making Titanium Shells and his drums are widely recognised as the best sounding "Metal Shell" Drums in the world. ​These drums are favoured and loved by many World Class Drummers in the world which includes Carter Beauford, Daniel Adair and Carter Mclean. SDS is honoured to be one of the very few shops in Asia to stock Dunnett Classic Drums. Dunnett Drums can be custom ordered in different finishes, sizes and shells. ​Contact us today if you are interested in any of them. 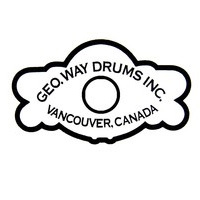 The George H. Way Drum Company prides itself in creating the finest instruments for the professional drummers. In 1921, George worked at Leedy as the top marketing position "sales manager" as well as inventor, artist relation and advertising, a position he maintain for some 20 years. During this era he was responsible for numerous historic innovations such as pearl drum coverings, self-aligning lug inserts and the "floating head" concept. In 1927 George introduced the Chinese "sneeze" cymbal, easily recognized today as the modern China type cymbal, among many of his other innovations. 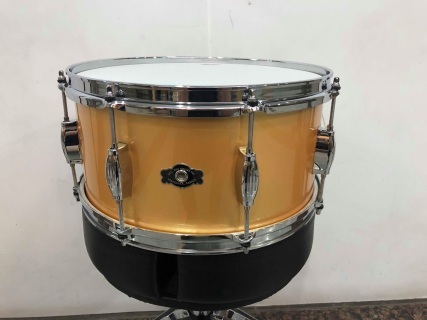 George Way Drums are now owned and manufactured by Ronn Dunnett, whom offers a lower priced alternative to the Dunnett Drums with a vintage vibe. Dunnett Stainless Steel (Straight Shell) Drums are hand made and hand welded by Ronn Dunnett in his small workshop in Canada. These drums offers a nice crack with body and a good amount of low end, which is very uncommon in Steel Shells. Rock Drummers like Daniel Adair favors the 14x8 model and used it for his recording and live. The original Titanium Snare Drum in the Industry. Dunnet Titanium Drums are Hand Made by Mastersmith Ronn Dunnett in his workshop in Canada. These are voted as the Best Metal Snare Drums in the world today and are very collectable. The 2N Drums are inspired by the classic Supraphonics with modern innovations and better build. These are hand made by Ronn Dunnett in his Canadian Workshop.